Pedestal Fans are portable appliances that are efficient in creating a gentle wind that reaches every corner of the room. Portable pedestal fans are affixed on a wheeled base that allows them to be moved from room to room. These pedestal fans in India are available from a number of brands in India, one of the most popular being Usha. Usha pedestal fans are sturdy and efficient and are excellent for the summer heat in India with their powerful blowing action and wide reach. 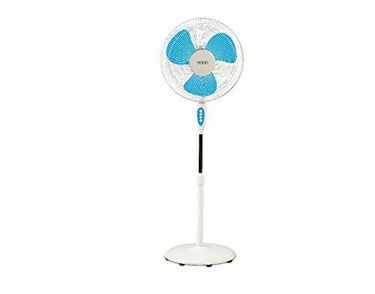 8 popular Usha pedestal fans in India and their best price have been highlighted in this Usha pedestal fans price list, last updated with the latest Usha pedestal fan prices today, 26th April 2019. This Usha pedestal fan price list also shows offline and online sellers of each Usha wall fan shown in this price list.